September 2016 – Have You Seen This One? So on Episode #5 we announced our movies for the next podcast…and it looks like it’s going to be both Happy and Evil. I am making Paul watch the one-and-only original horror classic “The Evil Dead” from 1981, directed by Sam Raimi and starring Bruce “The Chin” Campbell. This movie has so many iconic moments…that Paul will probably not see because he’ll be so skeeved out…which he totally deserves because he let you all vote on which (god help me) Adam Sandler movie to torture me with, and the one that you all voted for was “Happy Gilmore” from 1996. I don’t blame you all: all the blame is on Paul for this one. I mean, I just recovered from having to watch a Steven Seagal movie…and now this? All I can say is let’s how he likes dealing with the Deadites in Evil Dead: he’ll be “DEAD BY DAWN” for sure. Watch for Episode #6 in a couple of weeks! 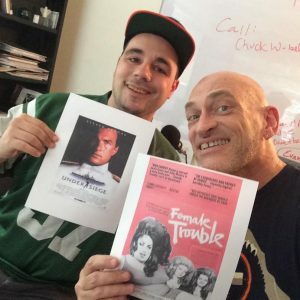 Episode #5 is here, in which we celebrate John Waters and Steven Seagal…sort of. 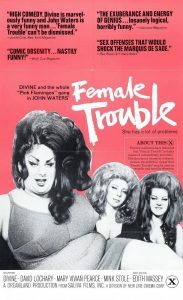 Paul and I had a blast discussing these movies: Paul said that his life will never be the same after watching Divine star in “Female Trouble” – you’ll have to listen to see whether that’s a good thing or not! 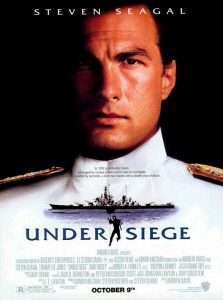 I weigh in on Paul’s choice “Under Siege” starring “action thespian” Steven Seagal. Will I declare it a Treasure or Torture? You can probably guess, but you’ll have to listen to be sure! We also find out which Adam Sandler movie our listeners have picked for me to be tortured with: will it be Happy Gilmore or Billy Madison? 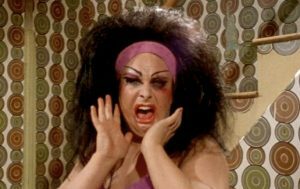 Listen to find out…plus hear what classic horror film I have chosen for Paul to endure for next time! Paul and Jay display their choices. Heya! 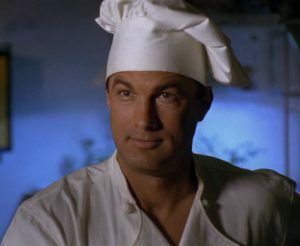 We’ve announced the movies for episode #5, and it looks like Paul has really set me up for some inhumane treatment: a Steven Seagal movie? Are you freaking kidding me, Paul? Oh you are so asking for it… Anyway: here they are, and here’s where to see them! *UPDATE* Available for free on YouTube. Also on Amazon for rent or purchase. Available for rent or purchase from Amazon. Episode #4 – our first Triple Feature AND our first Listener’s Pick…from Paul’s mom, Teri! Our first Triple-Feature AND our first Listener’s Pick! 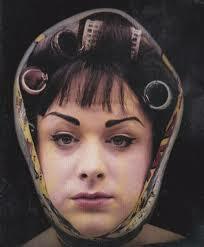 Paul’s mom (our listener) chose “What Ever Happened To Aunt Alice?” from 1969. 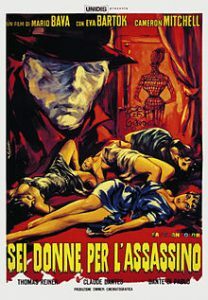 Paul picked the Humphrey Bogart/Joel McCrea vehicle “Dead End” from 1937, and I chose the giallo classic “Blood And Black Lace” from 1964. 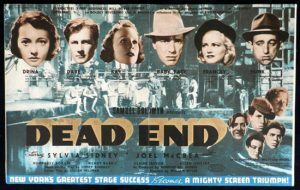 Paul and I watched “Blood” separately as usual, but we got together before the show at Casa Ravingbull (our house) and we did a Double-Feature-Date: we watched “Aunt Alice” and “Dead End” back to back, then did the show immediately afterward. Great fun! AND Paul announces our request for you, dear listeners, to please contact us and vote on which Adam Sandler monstrosity Paul is going to make me watch: Happy Gilmore, or Billy Madison. (He thinks that’s bad? Wait’ll he sees what I intend to put him through). 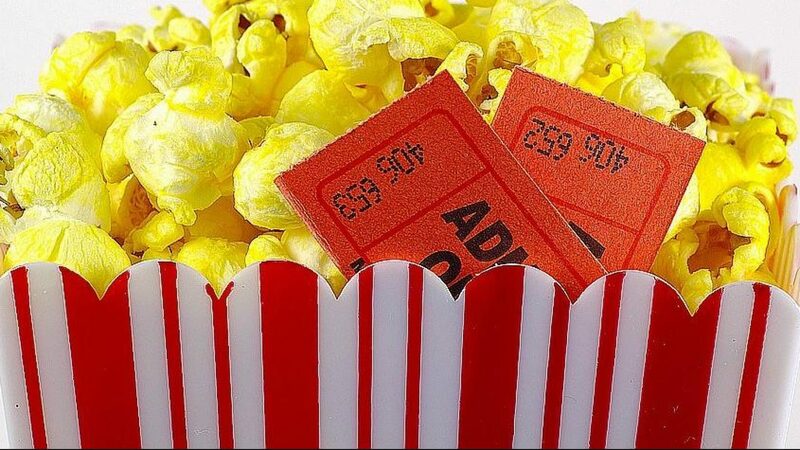 Oh yeah: we also announce our movie choices for the next episode. Wanna see the movies we’re reviewing for our next episode? 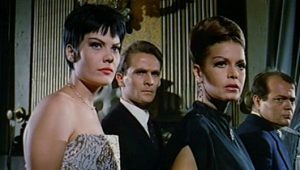 “Blood And Black Lace” is, unfortunately, only available for purchase; it is currently not on Netflix, Hulu, or Amazon Video. There is full version of the film on YouTube, but it’s in Italian, and there are no subtitles that I can find. We’ll be recording next weekend, so look for episode #4 the Tuesday after that.